With geological complexity increasing and data from drilling operations growing ever larger, the need for an efficient, single solution that allows you to evaluate your assets has never been more critical. 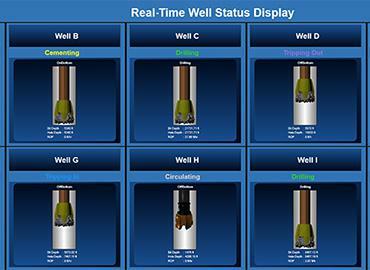 PetroNOC’s real-time monitoring services respond to the challenge by enabling you to assess multiple drilling operations from a single location. We apply our proven field experience, reliable knowledge and well established procedures to ensure you benefit from timely support and recommendations that prevent or diminish undesirable events.